Leaky is a car insurance comparator for the US market (initially they’re starting out with California). As people fill in details about their car and their driving habits, they are able to see in real time how much would insurance cost them at different providers. In August 2011 the company launched an earlier version of the webapp that used to scrape data from the websites of the insurance companies. They received cease and desist letters and they had to shut down their site 4 days after the launch. Since then, Leaky developed a predictor algorithm based on the public fillings that insurance companies are required to fill periodically. The new model is making predictions that are within 3 percent of the actual prices. During the process of building the model the Leaky team discovered some interesting trivia facts about insurance costs, such as the fact that a divorce costs the same as getting a hybrid, or that driving with a suspended/revoked license has the same weight as vehicular manslaughter. Leaky received initial seed funding as part of its participation in the YCombinator program. The company is located in San Francisco, California; it was originally founded in September 2010. Glassdoor.com provides statistics about salary levels for different job titles at popular companies world-wide. The service is available initially for a limited number of salary queries, after which it requires users to sign up before seeing additional data. Due to this, Glassdoor resembles a wiki where users specify their salary level in order to access statistics about what others declared. The site can be very useful in salary negotiations as it provides a baseline (based on a given company name, job title and location) that can be used during the interview process with a prospective employer. Its traffic averages around 1 million unique visitors each month. 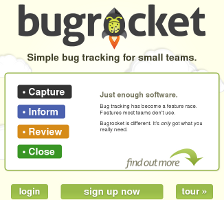 The company has been established in 2007; a public beta version was launched in June 2008. It is headquartered in Sausalito, California, United States, and it was founded by Richard Barton, Robert Hohman and Tim Besse. Nowadays the Glassdoor team has more than 50 employees. The company previously raised more than $22 million dollars from its founders, Sutter Hill Ventures, Benchmark Capital, and Battery Ventures. Zoho is a productivity suite that offers online collaborative apps similar to the traditional Microsoft Office programs; due to this, Zoho is often seen as a Google Apps competitor. Recently the company expanded its suite to include administration tools for invoicing, recruitment and user support, aimed at increasing productivity for small business owners. Zoho receives hundreds of thousands of visitors to its website every month, according to Quantcast. The site offers more than 25 apps designed for online collaboration and business productivity, such as Chat, Docs, Meetings, Wiki, BugTracker, CRM, Invoice, Recruits, Reports, Calendar or Writer. The company said that it had registered more than 5 million user accounts until now. Zoho has been founded in 1996; currently it is headquartered in Pleasanton, California, USA. The key person behind Zoho’s success is its founder and CEO, Sridhar Vembu. He graduated from the Indian Institute of Technology Madras but he also holds a PhD. in Electrical Engineering from Princeton University. Sridhar became famous for its unique staffing practices at Zoho: he created ZOHO University, a two-year training program for disadvantaged Indian high school graduates, with a strong focus on technical competence; graduates of this program make up for 10% of the company’s workforce. Zoho did not receive any external capital or bank loans. Sridhar insisted on the company’s independence by following a boot-strap model where the company’s profits are used to grow the service organically. Acquisition offers from external investors, including Marc Benioff from Salesforce.com, have been refused consistently despite their aggressive bidding. 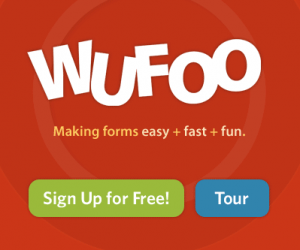 Wufoo allows users to design online forms from within their browsers. Forms can be built by indicating what fields should appear in them. Wufoo takes these specs and automatically publishes the form on the web, taking care of collecting the replies and presenting them to the form’s author in various formats. When someone designs a form with Wufoo, it automatically builds the database, backend and scripts needed to make collecting and understanding data easy, fast and fun. Because Wufoo hosts everything, all that’s needed is a browser, an Internet connection and a few minutes to build a form and start using it right away. Wufoo’s tiered monthly plans range from $14.95/month to $199.95/month and the prices are based on the number of forms, the number of entries that can be submitted per month, the amount of disk space used for handling files and various other factors. There’s also a free version available, with limited capabilities. 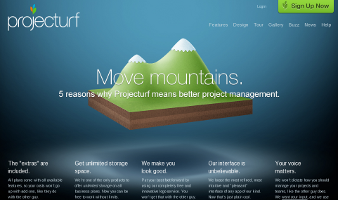 In April 2011 Wufoo signed a definitive agreement to be acquired by SurveyMonkey, its main competitor at that time. According to the merger agreement both services will continue to operate and the forms will continue to function as before. Since then, Wufoo’s traffic seems to be on an upward trend according to Compete; it seems the merger was successful for all the parties involved. An interview with the Wufoo co-founder Kevin Hale (describing the history of the company at large) is available here.